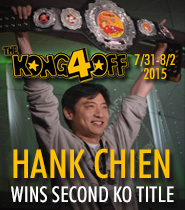 July 30th, 2016 - Kong Offs 1 through 4 have been a Hank Chien and Jeff Willms dynasty - with Chien winning the first and fourth, and Willms going back-to-back in the second and third. 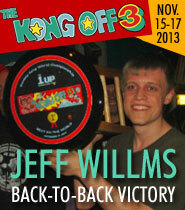 We can't be sure whether or not Willms will emerge with another victory tomorrow, but he is still in contention. Chien, though, is not, having finished the high score portion of the tournament outside of the top 8, and thus eliminated from Sunday's head-to-head finals. Early in the day, current world record holder Wes Copeland finally found his bearings and pushed his way from the bottom of the leaderboard into 4th place, ensuring himself a place on Sunday. Then, as Day 2 drew toward "last quarter", all eyes turned to the low-hanging fruit. The players in the top 7 spots were secure with scores well over a million points. But Vincent Lemay's 993,500 from Day 1 (over 50,000 points below the 7th place score) was still clinging to 8th... with a bright red target on its back. Players still outside of the bubble (namely Chien, Ethan Daniels, and Daniel Desjardins) all set out on a last-quarter hunt for their tournament lives, with Lemay himself alongside them mounting a defense, trying to increase the score they were trying to beat. One by one they fell (Daniels coming closest about 60,000 points short), but Kong managed to stave them all off, leaving Vincent alive to fight the final day, surprised but happy. Nobody, including Lemay, expected his score to hold, but "Lemay math" prevailed. Let us never doubt it again. That left just one last piece of business to be decided. 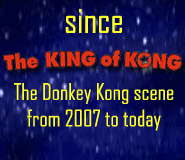 It's almost a rule in Donkey Kong tournaments that last-quarter will bring drama, and often a stunning upset. Dean Saglio did the honors this time. Having already secured a top 8 spot earlier in the tournament, Saglio was free to spend Day 2 playing at a higher pace in pursuit of Lakeman's Day 1 best. He did it by a hair, a single barrel smash on the kill screen bridging the gap. 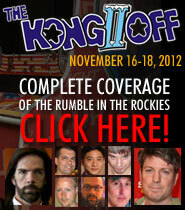 Saglio, who has experienced much disappointment in tournaments - Kong Offs in particular - was thrilled. "Fifth time's the charm for being at the top of the high score competition. It took until Kong Off 5 to get to the top of the leaderboard. So, psyched about that. It took every barrel to get there." In one fell swoop, Saglio earned tournament vindication, the high score first place prize money, and extracted a little payback from Lakeman, who just last month eclipsed 1.2 million and beat Saglio's personal best, pushing Saglio into third on the all-time scoreboard. Tonight must have felt good. 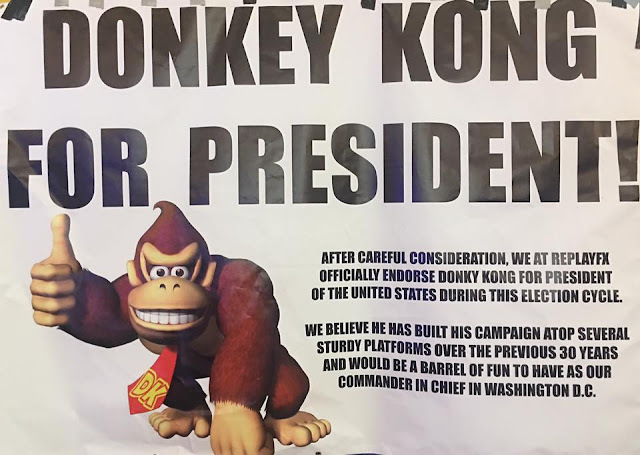 Meanwhile this very day, in an adjacent section of the (massive) David L. Lawrence Convention Center removed from the ReplayFX/Kong Off event, a rally was held for and presided over by none other than candidate Hillary Clinton herself! Whether you're planning to vote for Trump, Clinton, or Kong, be sure to watch the Kong Off 5 live stream starting at 9 AM Eastern for the final head-to-head matchups! 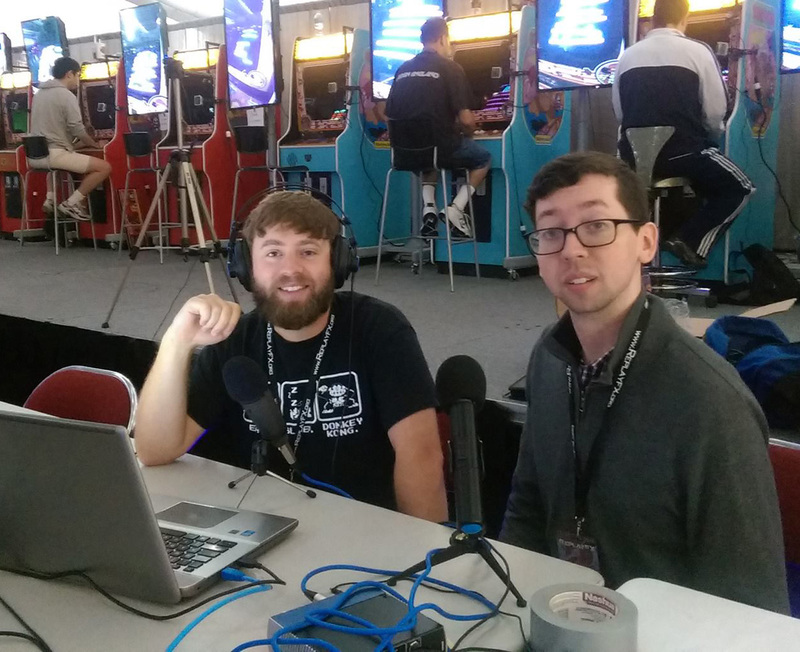 Props to everyone who has made this the best-streamed KO yet (JC, Dan, the ReplayFX peeps, etc).